This week’s WordPress Photo challenge is beyond. I’ve got 3 images in my collection that felt “beyond” to me. 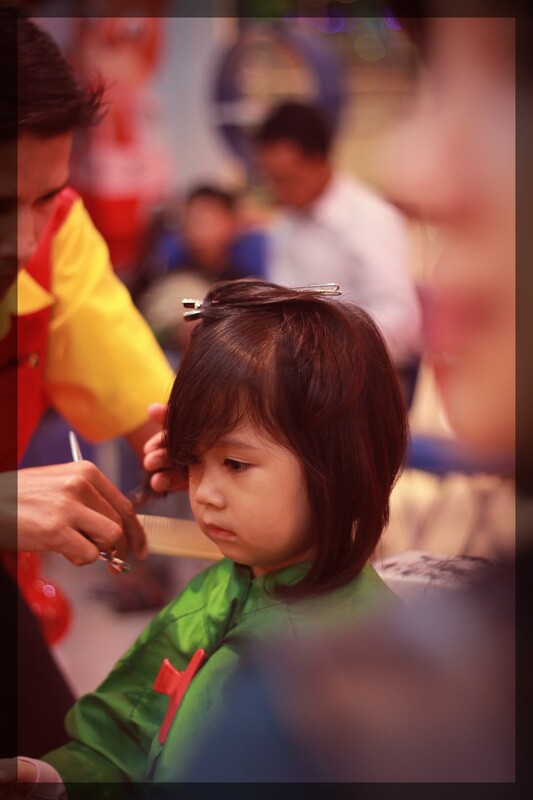 The image above shows my daughter at her 3 years birthday, having hair cut at Kiddy Cut. If you see the blurred face very close to the camera, actually it’s my wife. If you look beyond my daughter there are two people sitting, the big one in white is my father and a boy next to him is my son. I took the image deliberately to put my daughter in the middle of two blurred areas. Something that quite rare for me to do, since usually I just create two areas when playing depth of field, the bokeh usually in the background. I use my Canon 550D with fix len 50 mm, f1.8. The image above I took it when we had a vacation to Puncak Bogor West Java, Indonesia. 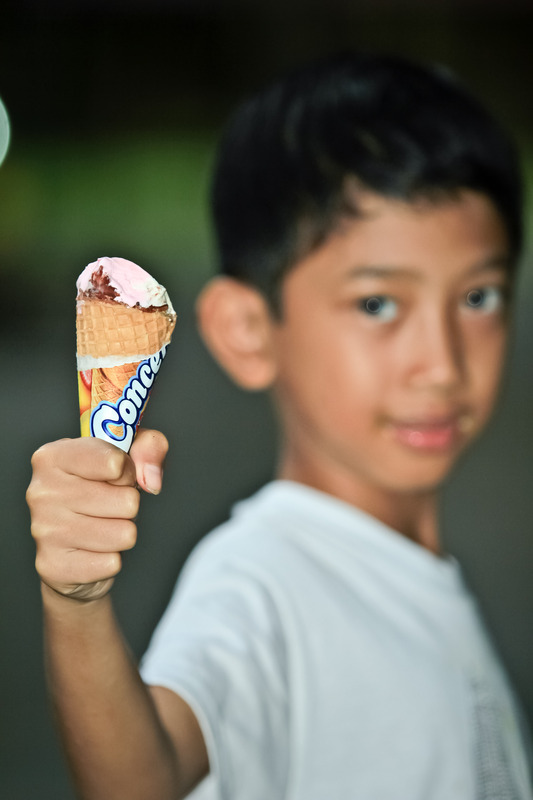 It shows my 8 years old son holding an ice cream in his hand. I set the focus point to the ice cream, so basically my son is beyond the ice cream :). I took it using my 70-200 f2.8 lens. This one I took at Safari Garden, Cisarua, West Java, Indonesia. 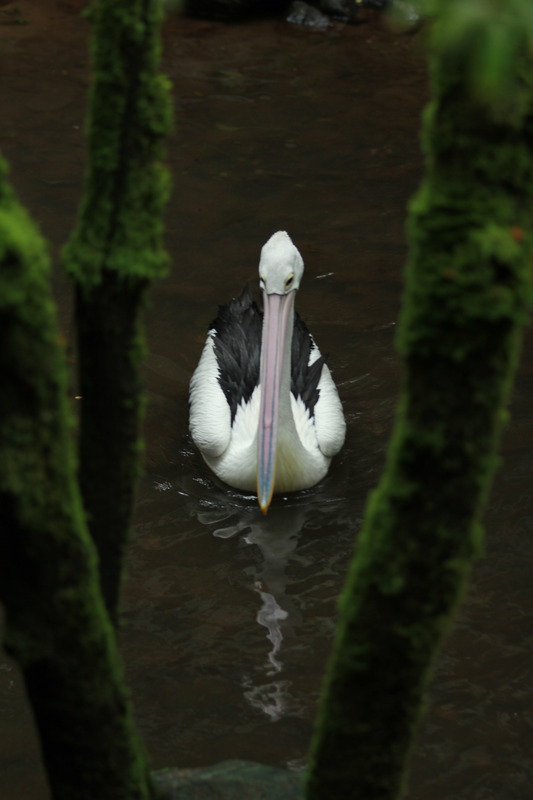 A pelican swam toward me and I captured it when exactly beyond the trees. This one also using the 70-200 f2.8 lens. Well, those are my beyonds. What’s yours? Ping-balik: Weekly Photo Challenge: Beyond as well (aka ’2′) « What's (in) the picture? Ping-balik: Weekly Photo Challenge: Beyond 3 (aka What’s in the light?) « What's (in) the picture? wah…. ini beda lagi ya mas sama yang kemaren? Ya, tiap minggu challengenya beda. Selanjutnya Pos berikutnya: What is your Blogger Personality Profile?